Raffles Place, Singapore – Traders have a thirst for understanding the whole picture of “cryptocurrency world”, especially its market trends, concepts and correlated knowledge. Yes, it’s driven by greed and Nami team is here to help with our brand-new Insight Section. Most marketers perceive the term “insight”. It’s a tacit understanding – an insight into a certain field, or customer behavior even if they aren’t supposed to say it. Insight is the quickest and most effective approach to a problem. The weekly Insight section on nami.io does not provide stuffy piece of information, Google Search does it so well anyway. Nami gets over the fact that investors need more than an on-hand dossier. In today’s fast-paced world, the intellectual resources are infinite and can change day by day. With just a hit on our Insight, you’ll get selective information about Blockchain technology, Blockchain applications, Cryptocurrencies, product guidelines, etc. Our articles may cover both aggregate and in-depth analysis of those topics. Nami creates content following the most summarized form but still containing all the necessary data. Investors are expected to find useful information and save time for research. For Traders, they can find this section practical to solve difficult questions that they are facing. 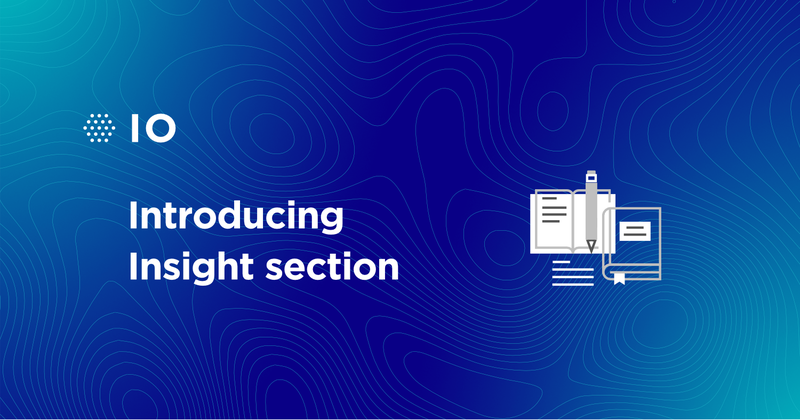 nami.io will maintain 2 Insight posts per week while diversifying topics in accordance with high quality and accuracy criteria. If you are a “fan” of nami.io in particular and Nami ecosystem in general, keep visiting Insight channel and see what we would be eager to bring you!